Samuel is a boy on the move and photographing him was a challenge we were determined to win!! You are here: Home / babies / Great Scott! Here I come! Great Scott! Here I come! Samuel is a boy on the move and photographing him was a challenge we were determined to win!! From the moment he hit the floor he was off and crawling. 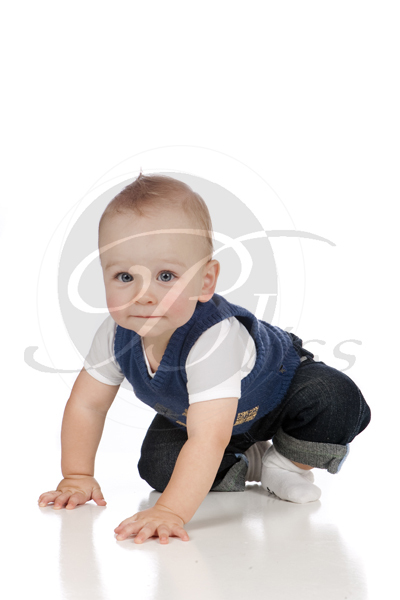 We had to laugh at his ability to crawl AWAY from the camera. Those bright blue eyes would melt anyone’s heart though. Sam explored all the toys we had on offer at the studio and we ended up with a series of photographs that capture this little boys enthusiasm for life.